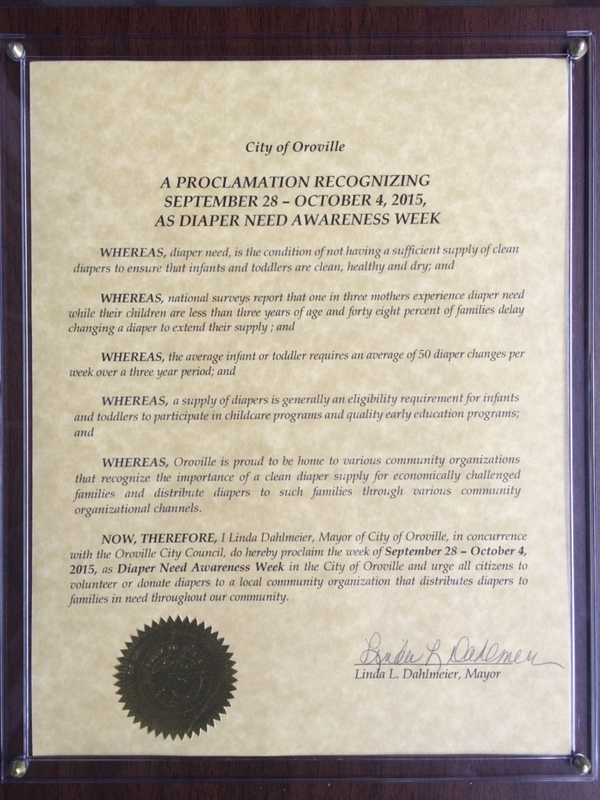 Thank you Linda L. Dahlmeier, mayor of Oroville, California for proclaiming the week of September 28 - October 4, 2015 as Diaper Need Awareness Week! We are so excited to begin our diaper bank adventures and cannot think of a better way to really kick things off than Diaper Need Awareness Week! 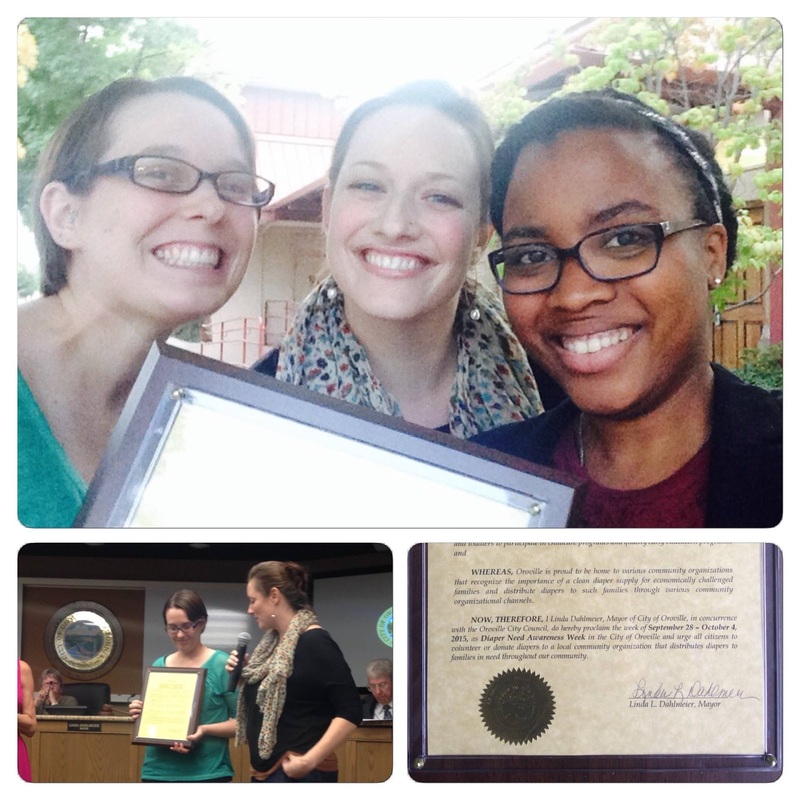 We have a lot of exciting things planned in October, so stay tuned for more information.